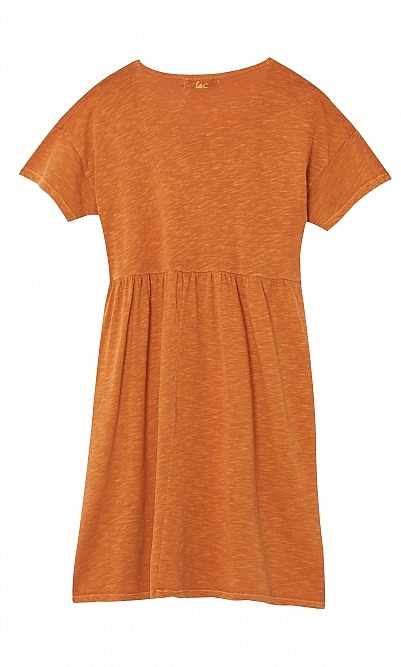 Laid-back summer dress in a rich saffron hue. 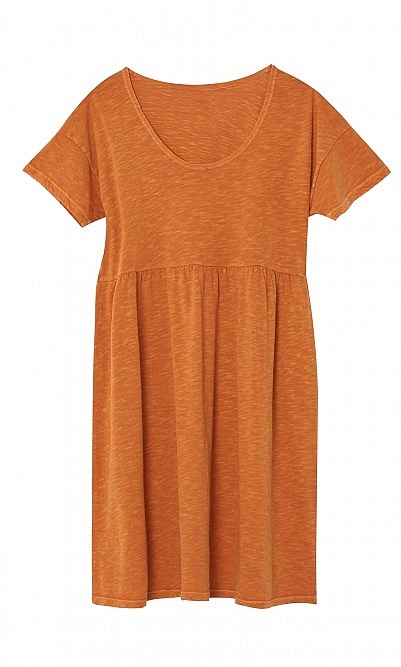 The flattering oversized cut is balanced with a deep scoop neck and narrow cropped sleeves. L90cm. Cotton. Cool wash. I have worn mine endlessly the past few weeks as a little dress. When it's cooler it works as a top too which is great.